Slightly lesser than the LG optimus 3D that launched a while ago for Rs.37,000/- , the HTC Evo 3D is a product created for a niche segment, the segment which is in awe of 3D as the future of technology. While i am not debating the 3D as the technology standard of the future, but as of now, the present, it is not yet mature for creation or consumption. Anyhow, the HTC Evo is still an impressive device in terms of raw specifications, the usability is a personal opinion though. Ultimately, we’ve come to think of the EVO 3D as a Sensation with a lesser camera, cheaper materials, worse battery life, and without the ability to roam worldwide. But hey, it’s got 3D and the best dedicated two-stage camera button that’s ever graced a phone. That’s gotta be worth something, right? 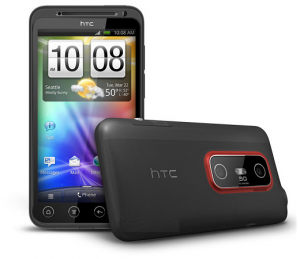 The HTC EVO 3D is a device that strives to do it all and we are pleased to report that for the most part it delivers. However, competition is so intense today that it would be impossible to beat everyone at every level. The EVO 3D gets points for trying. Winners don’t pick their battles, you’d just be wise to pick your priorities.